Blake's Board of Trustees is charged with protecting the mission and the values of the school, as well as providing guidance that ensures Blake's long-term health and vitality. The board is responsible for providing the highest level of leadership and support around issues of critical policy. The board works closely with the Head of School. John (Jeb) L. Morrison '90, Chair is a co-founder of Callanish Capital, an investment partnership operating since 2001, investing in both public markets and private equity. He received his B.S. in economics and mechanical engineering from Yale University and his M.B.A. from Stanford University. He serves on the boards of several portfolio companies, in addition to serving on the board of the Positive Coaching Alliance-Minnesota. 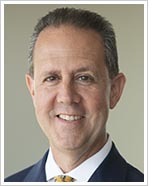 Chad Abraham serves as CEO of Piper Jaffray and is a member of the firm's board of directors. He joined Piper Jaffray in 1991 as an investment banking analyst and served for 13 years on the West Coast as a banker in the technology investment banking group. 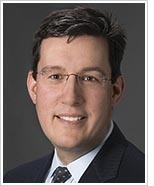 In 1999, he became managing director and head of technology investment banking. In 2005, he became head of capital markets and in 2010, he became the global co-head of investment banking and capital markets. Chad serves on the board of the Minnesota, South Dakota and North Dakota chapter of the Nature Conservancy. He received a bachelor's degree in economics and political science from Northwestern University. Peter Ahn, Officer Emeritus, began his career in investment banking at RBC Dain Rauscher and later joined Jefferies and Company. 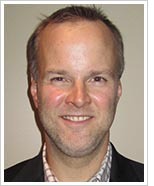 In 2001, he co-founded Hemisphere, a private equity firm. He received his B.A. in economics from Macalester College and his M.B.A. in strategic management from the University of Minnesota Carlson School of Management. 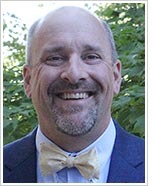 Peter serves on the board of Macalester College. 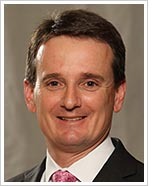 Jason Bowles, Treasurer, is a senior vice president and financial advisor for RBC Wealth Management. 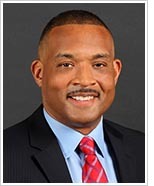 Before joining the company in 2000, he worked for the Pillsbury Company and Freddie Mac as a financial analyst. He earned his B.A. from James Madison University in Virginia and his M.B.A. from the University of Texas at Austin. Colbert Boyd is founder and president of Ceviant, LLC, a firm that consults with organizations on leadership development, organizational change and strategic planning. He earned his B.A. in urban development from the University of Michigan and his M.B.A. from Northwestern University Kellogg School of Management. He is a Professional Certified Coach and currently serves on the board of Emerge Community Development. Molly Corrigan Cronin serves in leadership roles in educational and other nonprofit organizations, including serving as past chair of the Parent Association for Blake's Lower School Hopkins campus, volunteering at Agamim Classical Academy and serving on the board of the Center of the American Experiment. She is vice president of the Board of Governors at the Minikahda Club. Molly worked as an associate director in account development at Digital River and was a corporate finance analyst at Piper Jaffray. She is a graduate of Dartmouth College. Richard Higgins is an estate-planning attorney in his firm, Higgins Estate Law, PLLC, which he opened after graduating from William Mitchell College of Law. He attended the Hotchkiss School in Lakeville, Connecticut, and earned a B.A. in history from Cornell University and an M.A. in teaching from the University of St. Thomas. He has taught social studies and coached football and boys' lacrosse at Benilde-St. Margaret's School. He serves as board president for Gracie's Room, a nonprofit that designs rooms for children with life-threatening and chronic illnesses. He serves as treasurer and board member for Bearstangs Club Girls' Lacrosse for Blake and Breck. 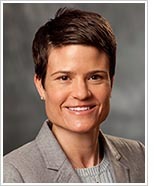 Ellie Humphrey '93 is vice president of enterprise excellence and business transformation at Medtronic, where she has previously held leadership positions in global strategy and channel management. 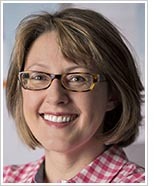 Prior to Medtronic, she was a consultant at McKinsey and Company. She is a visiting executive lecturer at the University of Virginia Darden School of Business, where she teaches classes on strategy and leadership. Ellie has a J.D. from the University of Virginia School of Law, an M.B.A. from the University of Virginia Darden School of Business and an A.B. from Harvard College. Brian Lipschultz is co-CEO and trustee of the Otto Bremer Trust, which owns Bremer Bank and is also a leading regional philanthropic organization. His previous work experience includes co-founding Eagle Street Partners and serving in executive positions at several companies including Pulse Mobile, DreamWorks SKG and the Walt Disney Company. He serves on boards of several for-profit and non-profit organizations. Brian earned his bachelor's degree from Northwestern University and his M.B.A. from Kellogg School of Management at Northwestern University. 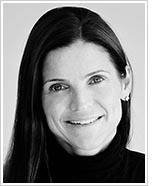 Colleen May is the global managing director for Cargill Texturizers and Specialties. She began her career as a commodity merchant and has held a variety of merchandising and commercial leadership positions at Cargill. 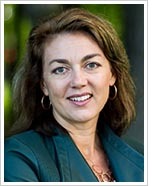 She is a member of Cargill's Commodity Risk Committee and serves on the board of directors of the Cargill Foundation. Colleen earned a B.A. from St. Olaf College in chemistry and economics. Cheryl Mayberry is vice president at Search Institute, an applied research nonprofit that works with schools and youth development organizations to help young people become their best selves. She served as lead consultant for the University of Minnesota and Twin Cities United Way for the educational initiative Generation Next and was lead consultant for the City of Minneapolis in the launch of ranked-choice voting. She is co-chair of the Education Work Group of the African American Leadership Forum. Cheryl holds a B.S.E. in chemical engineering from Princeton University and an M.B.A. from the Wharton School at the University of Pennsylvania. William (Bill) Miller is a partner and leads the Upper Midwest Assurance practice at Ernst & Young (EY), where he has worked since 1989. He has led EY's Upper Midwest Strategic Growth Markets practice and the firm's Entrepreneur of the Year program. He currently serves on the board of directors for the Minnesota Orchestra and previously served on the board of directors for the Washburn Center for Children. He served for eight years, including five as treasurer and one as president, on the board of directors for the Minikahda Club. Bill earned a B.A. in business administration with an emphasis in accounting from the University of St. Thomas. 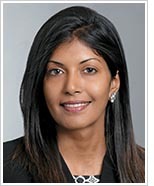 Hema Nealon is vice president at Nuveen Investments, a firm owned by TIAA. 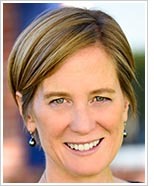 Previously, she worked at Piper Jaffray, where she was a founding member of the Clean Technology and Industrials Group. 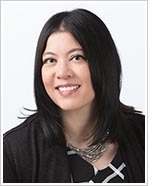 Prior to moving to the U.S., she worked at United Technologies and HCL Corporation in Singapore and India. She received a B.S. from the University of Madras in India and an M.B.A. from Harvard Business School. Hema serves on the board of trustees of the Nature Conservancy of Minnesota and has served on the board of directors of the Minnesota Children's Museum. She is an interviewer for Harvard College. 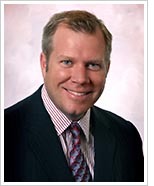 Matt Peterson, Secretary, is CEO at UnitedHealthcare of ancillary and individual markets. 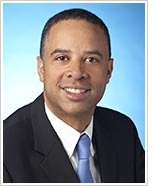 He is also CAO of commercial markets, a $60 billion business of UnitedHealth Group. In his tenure with United, he has held positions in OptumHealth and co-directed corporate development at UnitedHealth Group in mergers and acquisitions. 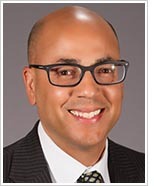 He is president of UnitedHealthcare Children's Foundation, which focuses on healthcare for underserved children, and serves on the board of the Vanderbilt Owen Graduate School of Management. Matt holds a B.A. in economics and management from Hamline University and an M.B.A. from Vanderbilt University. Bryan Phillips is senior vice president of legal and human resources at SurModics, where he has also served as deputy general counsel, corporate secretary, assistant general counsel and patent counsel. 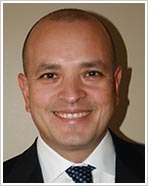 He has worked as an associate for Merchant and Gould and as patent counsel for Guidant. He is registered to practice before the U.S. Patent and Trademark Office. Bryan received his B.S. in mechanical engineering from the University of Kansas and J.D. from the William Mitchell School of Law. Melissa Raphan is a partner in the labor and employment group at Dorsey & Whitney LLP. She handles arbitrations before the American Arbitration Association and the Financial Industry Regulatory Authority and counsels employers on issues including performance management, selection and termination. She is a frequent lecturer on employment law and serves as general counsel for Minnesota Employment Law Council, as volunteer attorney for the Children's Law Center and as an interviewer for Duke University. Melissa received a B.A. from Duke University and a J.D. from Boston College Law School. Amy Saldanha, Parent Association Liaison, is founder and CEO of Kiddywampus, a specialty toy retailer and art studio located in Hopkins. She has practiced law as a civil litigator in Chicago, followed by positions in operations and talent management at several digital startups. She graduated from Gustavus Adolphus College with a B.A. in political science and speech communications. She holds a social sciences degree in political philosophy from the University of Kent in Canterbury, England. She earned her J.D. from Valparaiso School of Law. 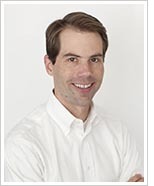 Christopher (Chris) Smith is president and CEO of Kipsu, a technology company he co-founded in 2010. He has worked as a venture capitalist with Coral Ventures, an associate with IBM's venture capital group and a consulting manager with Accenture. He co-chaired and co-founded Minnesota Comeback, a nonprofit addressing the educational achievement gap in Minneapolis. He has served on the board of advisors of the School of Information Studies at Syracuse University and on boards for a number of for-profit venture-backed technology companies in Silicon Valley. He received a B.S. from Syracuse University and an M.B.A. from the University of California at Berkeley's Haas School of Business, where he was an IBM Venture Fellow. Anne Stavney, President, has served as Head of School at Blake since 2012. She came to Blake from the Lakeside School in Seattle, Washington (her alma mater), where she served in several roles, including assistant head of school, middle school director, and academic dean. 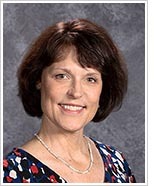 She currently serves on leadership boards for the Independent School Experiential Education Network, the Independent Metro Athletic Council and the Minnesota Association of Independent Schools. Prior to her tenure at Lakeside, she was an assistant professor and director of undergraduate English studies at the University of Tulsa. She holds a B.A. in government from Smith College and a B.A., M.A. and Ph.D. in English from the University of Washington. Alene Grossman Sussman '95, Alumni Association Liaison, is the head of the Jewish Community Foundation, where she is responsible for crafting and implementing the foundation's strategy and direction, as well as growing its assets. 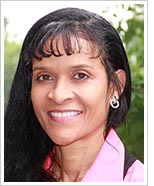 Formerly, she practiced law at the Federal Reserve Bank and at Dorsey and Whitney. She has a B.A. in political science from Columbia University and a J.D. from Howard University School of Law. She serves on several boards, including having served on the Minneapolis Foundation and Minneapolis Jewish Federation. 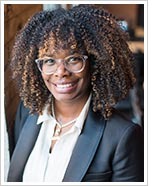 Adebisi "Bisi" Wilson '97 is vice president of Innocent Technologies, an organization that enhances student-teacher relationships to close the achievement gap. Previously, she worked as a litigator at Blackwell Burke P.A., where she practiced products liability, toxic tort, commercial and other litigation. She is experienced in education, affirmative action compliance and has developed training, spoken at conferences and authored articles on diversity in the workplace. She is president and co-founder of the Minnesota Mother Attorneys Association. Bisi holds a B.A. from the University of Minnesota and a J.D. from New York Law School. Jamie Wilson '82, Vice Chair, is a past president of the Blake Parent Association and has served as Highcroft Parent Association chair and on the alumni board. 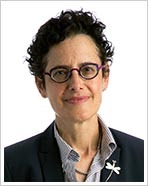 She is also a trustee of the Guthrie Theater. Jamie grew up as an expatriate and has lived in Brazil, Switzerland, the Netherlands, Taiwan, Singapore and the Philippines. She earned a B.S. in Chinese and Portuguese from Georgetown University, a J.D. from New York University and an M.A. in English and comparative literature from Columbia University. She has worked as a commodities trader at Cargill and as a lawyer at Dorsey and Whitney in New York City. Board of Trustees qualifications are outlined here.